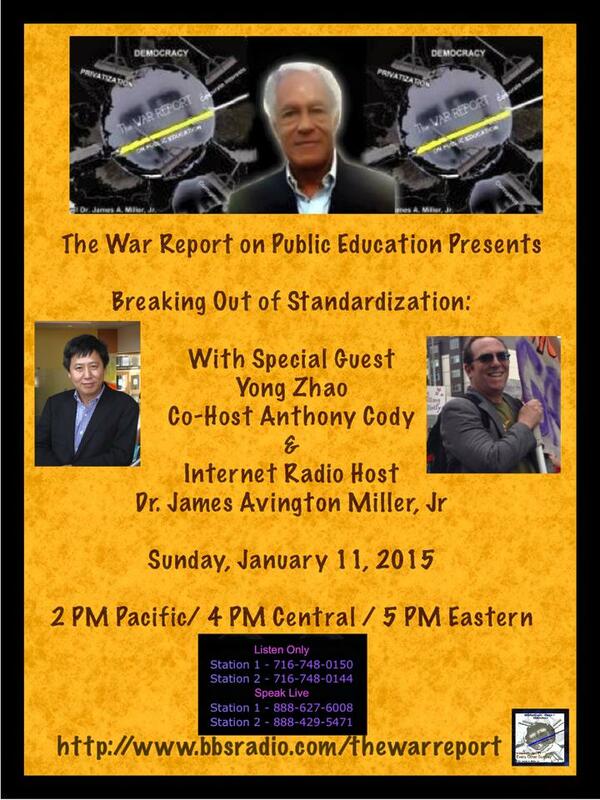 Join Dr. James Avington Miller, Jr, in conversation with special guest Yong Zhao, and co-host Anthony Cody, as they discuss how to break out of Standardization in Public Education. Sunday, January 11, 2015 @ 2 PM Pacific / 4 PM Central / 5 PM Eastern Live Internet Radio- Station 1: Click the Link and call in to listen or speak! Join Yong Zhao and Anthony Cody :How to Break out of Standardization.